Salt Lake City, UT – For the fourth consecutive accreditation cycle, MRIoA has been granted accreditation under NCQA’s Utilization Management standards. 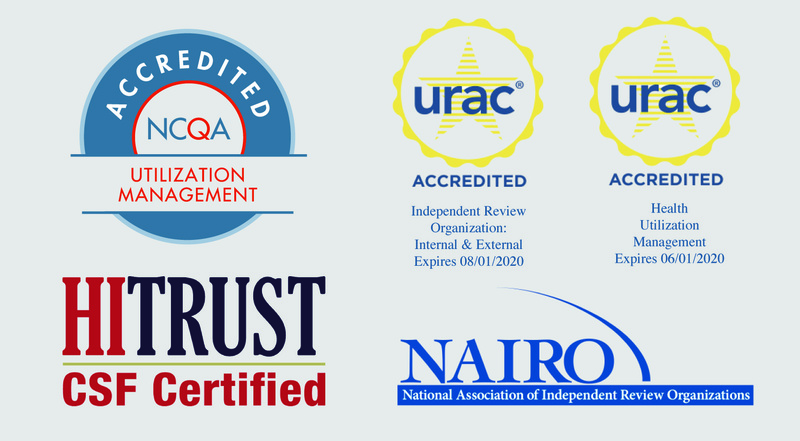 This accreditation, along with URAC accreditations under Health Utilization Management and Independent Review Organization standards, demonstrates MRIoA’s long-standing commitment to performing the highest quality reviews for its clients by providing trusted clinical guidance that enables the right decisions for patients and reduces overutilization costs. “It is our dedication to the patients and customers that we serve to provide the highest quality independent clinical guidance to ensure appropriate utilization and the NCQA re-certification is a testament to our ongoing commitment” says Ron Sullivan, CEO of MRIOA. MRIoA’s Utilization Management Accreditation became effective Dec. 7, 2018 and continues through Dec. 7, 2021. Medical Review Institute of America, LLC (MRIoA) was founded in 1983 and today is an industry leader in providing independent medical review resources. MRIoA provides review of medical, dental, behavioral health, pharmacy, vision, and workers’ compensation claims for insurance carriers, employers, TPAs, self- administered union groups, pharmacy benefit managers, consultants and departments of insurance nationwide. MRIoA utilizes a nationwide network of board-certified physician specialists and professionals in all specialties and sub-specialties of medicine. MRIoA also has reviewers and medical directors licensed in all states where required, offering among the most extensive same-state reviewer resources available from an independent review organization. For more information, visit www.mrioa.com. NCQA has reviewed and accredited MRIoA’s Utilization Management functions only. For complete details on the scope of this review, visit www.ncqa.org.